Thanks for the invitation to be included in your blog. We are called Dirty Rumors. 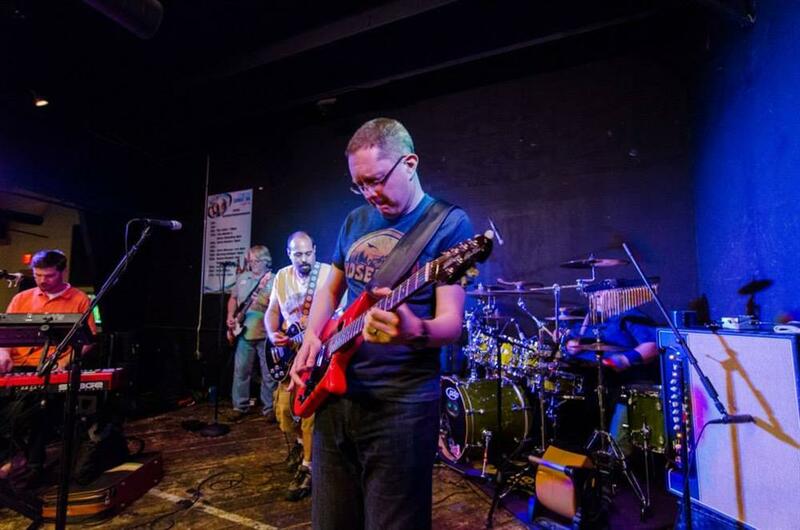 We’re a quasi rock band / jam band from Roanoke, VA comprised of Kirk Farmer, (Me) on lead vocal and guitar, Tim (Caesar) O’Sullivan on lead guitar, Scott Sutton on bass, Ben Hite on keys, and Thomas Wilson on drums. We’re more of a jam band than anything. Our live performances are heavy on the long instrumental jams with variety of influxes including rock, funk, blues and county. We actually have a large collection of live tracks that can be streamed from our website. Most of which were also recorded using the same equipment and software we used to record the EP. The EP is called Unity Gain and was released online through TuneCore.com in January. I was originally introduced to PreSonus when I worked as a recording engineer in Raleigh, NC. I saw a demo of the StudioLive 16.4.2 at a show put on by one of your distributors in Greensboro. I was particularly impressed with it’s ease of use and by the transparency of the preamps. I few years later, I relocated to Roanoke,VA and brought on a business partner named Nate Potter in order to expand my mastering studio, K-14 Studios service offerings to include mobile, multi-track recording. Nate was also a big fan of the Presonus gear and owned a 16.4.2, and also introduced me to Studio One. Tim and I formed Dirty Rumors in September of 2012. When we made the decision to record our EP, it was only logical that Nate and I produce and engineer the project using the PreSonus gear that we had been using to record our clients with. As mentioned before, we primarily use the 16.4.2 for tracking. One of the great things about this setup is its mobility. All we need is the board, the laptop, the snake and some mics and we’re in business—literally! We use Capture to track everything, including overdubs. Once we get the tracks back to the studio, we use a FirePod as a speaker/headphone interface, and mix the sessions on Studio One. We also use Studio One’s project page for mastering. The things we like most about the PreSonus hardware are the quick setup time and the preamp quality. With other digital mixers, we can potentially spend a significant amount of time just getting the board settings where we want them. Using any outboard gear just adds to the process. With the 16.4.2, we can be powered up and signal and level checked in less than 10 minutes. As far as the preamps are concerned, the transparency and gain insures a good recording the first time, every time. This is paramount when recording a live show where we might not get a second take. They also allow for a great deal of flexibility during the mixdown process. We can make a lot more creative decisions about the overall sound of the project when we don’t have to contend with preamp coloration introduced by your hardware. On the software side, Studio One is undoubtedly the most flexible and user-friendly DAW I’ve ever used. It’s intuitive, powerful, and very easy on my CPU. In the past, I’ve primarily used Pro Tools and Audition, both for their different strengths: Pro Tools for tracking and Audition for mastering. Studio One combines the best of both worlds in one very dynamic suite. Nate and I are currently working on a video project for a band from Lynchburg, VA. Again, we used the PreSonus gear for the tracking, and continue to use Studio One for the post- production processing. Our last major project was the Unity Gain EP, which we created ourselves from start to finish. Dirty Rumors is rumored to be recording a concert video in May at the new amphitheater in downtown Roanoke. We plan to use the 16.4.2, tied in to the FOH board through a splitter snake to record the audio from the show. We’re also talking about recording a full length album this summer, and PreSonus is along for the ride every step of the way!